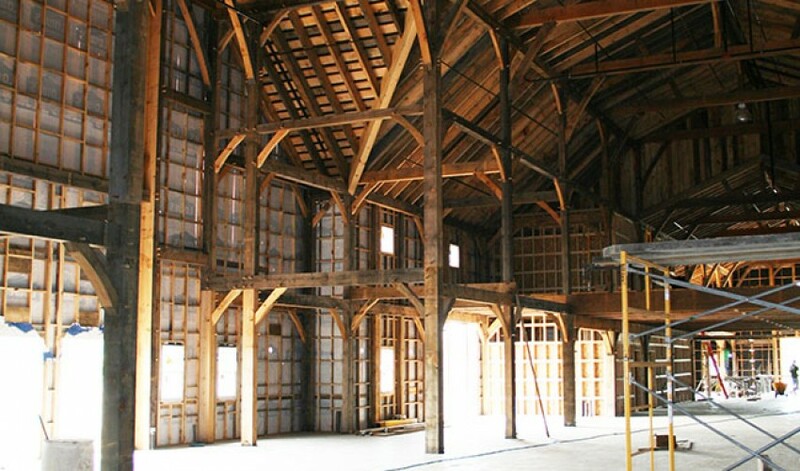 County Line Orchard Barn – Vavrek Architects, Inc. 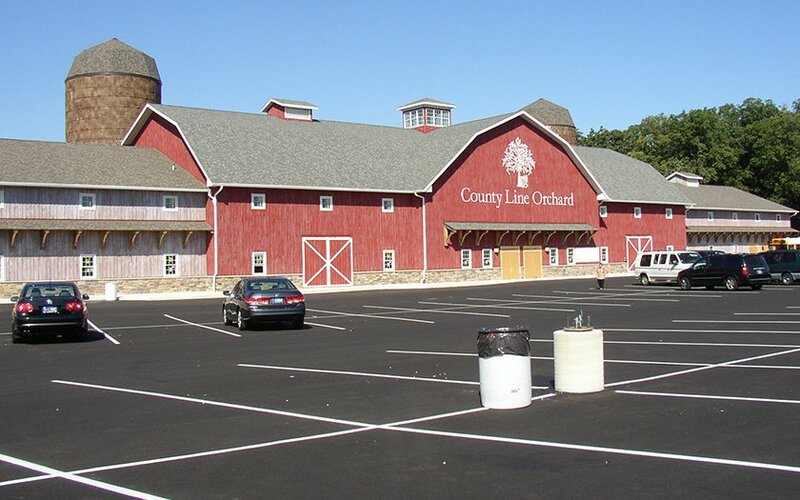 The County Line Orchard Barn is a 30,000 SF facility created to serve as a retail center for County Line Orchard as well as a banquet facility for weddings and other occasions. 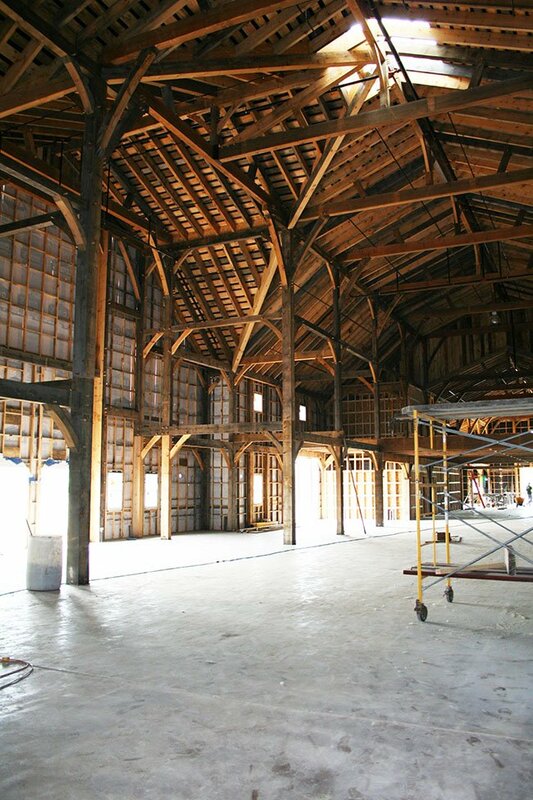 To enhance the visitor’s experience, the owners sought to create a structure that evoked an authentic farm building. 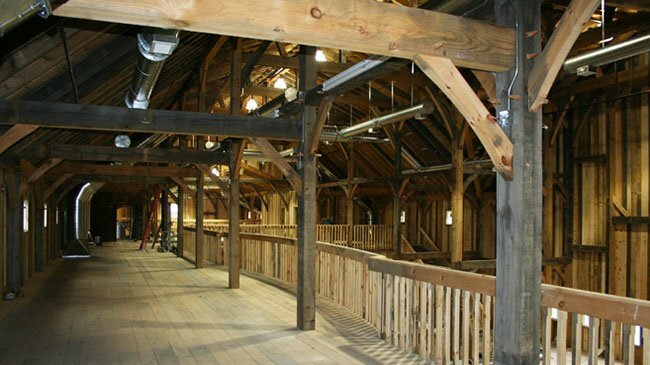 Due to its heavy timber construction, most of the main structure utilizes mortise and tenon joints secured with solid oak pins, very similar to how a piece of furniture might be assembled or a barn might have been built hundreds of years ago. 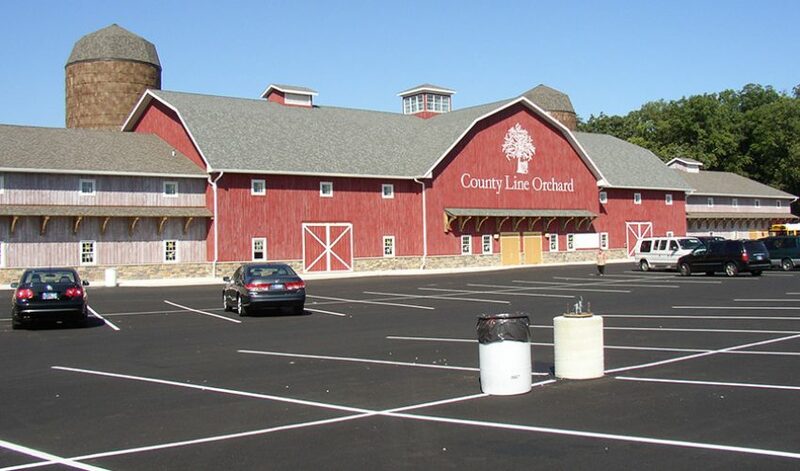 Of course, the main difference is that the County Line Orchard Barn is meant to serve hundreds of people. 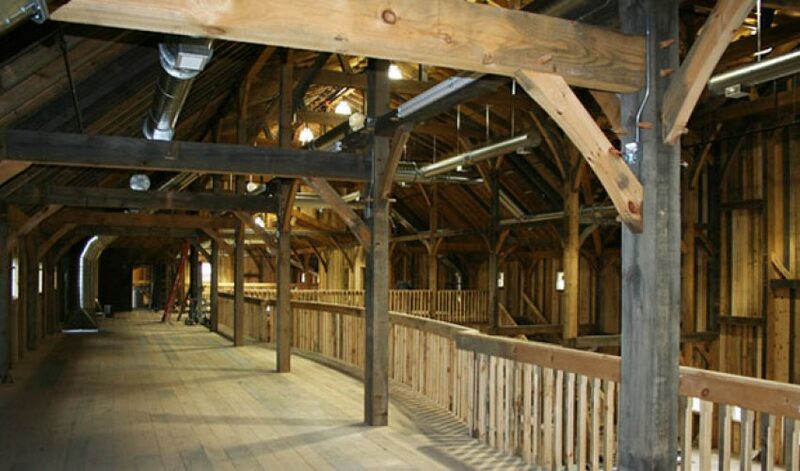 Consequently, the structure was engineered along current building standards. To support the loading, different species of timber were used based on their loading capacities and special attention was given to life safety. Building the barn as authentically as possible took some time. Clay tile silos were purchased from another farm, reassembled by hand, and incorporated into the design. All wood joints were also fitted by hand, and special attention was given to all the finishes. The County Line Orchard Barn has become a destination for Hobart as well as Northwest Indiana.